Windows don't close properly so you can hear the traffic. No hot water until 8 am, couldn't have a shower !! The receptionist who booked us in. The clean towels even when we didnt ask for them. The lift. Room was small with an apex which was awkward for my 6' partner! Also there was a build up of dirt on the ledge under the sink and the window was covered in green moss/agea. If I had paid the advertised walk in price I would have been very disappointed. However the was reasonable. A short stay for my business trip. 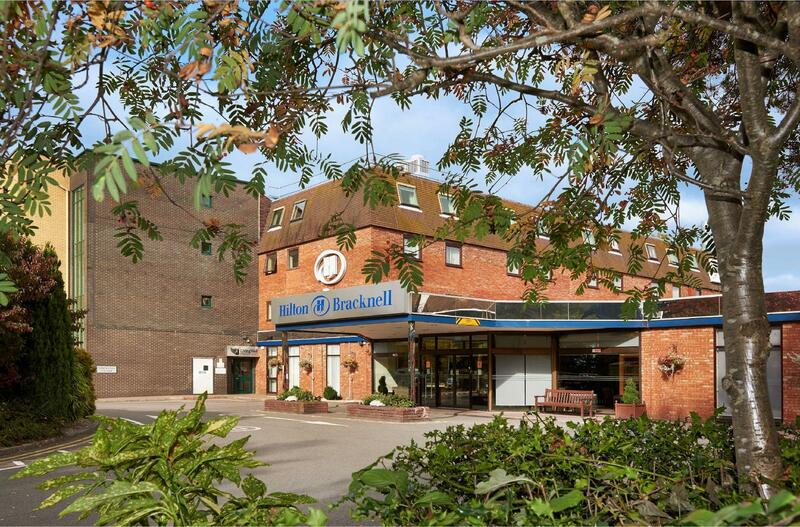 Hilton Bracknell is located near the airport and the hotel is self contained with the basic amenities. Booked this hotel to stay with the Hilton brand but was disappointed with the hotel standard. The first room we were given did not have a/c and after lodging a complaint we were transferred to a room with a/c. All the room are small- this hotel was not up to the Hilton standard. Enjoyed my stay here whilst travelling on business. 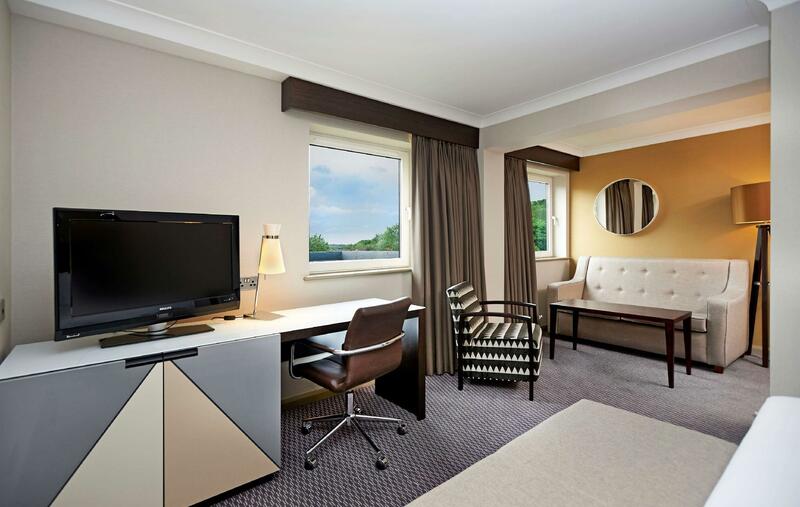 Usual Hilton quality with good food and conveniently located. Room was very large with a comfortable bed. Although the rooms were small this was overshadowed by the excellent restaurant, fitness suite, swimming pool and games room with 3 x Wii for our son to enjoy. We only had breakfast (included) as the evening dinner was a whopping £20 each - I recommend driving 1 km to the nearby Harvester pub/restaurant where £25 fills up 2 adults and a child. 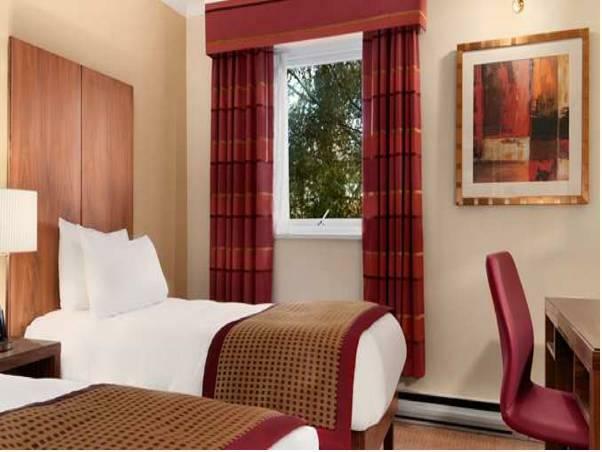 It's a perfect place to stay overnight if visiting Legoland or Windsor castle (as we did). Staff are very courteous and super helpful. The only slight downside being Wi-Fi was ONLY available in the lobby area. And if you happen to stay on a Saturday night when the monthly "over 30's Disco" takes place - make sure your car is parked on the hotel grounds before 6pm, otherwise you will lose your spot and be forced to search the local streets for a place to park! The room was furnished well and overall was in a good standard of repair, a little small but for the price of I don't think I could get better for the area.